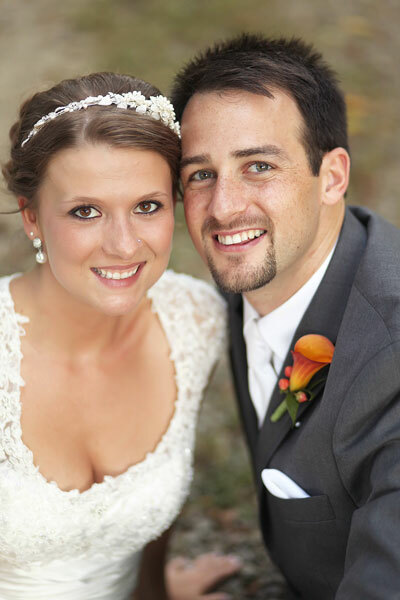 Joey and Mary first met at a sorority formal at Concord University after Mary had noticed him in their geography class. A week after that first night of dancing and talking, the two went on their first date. A year and a half later, Joey proposed at Mary's annual family Christmas party. She was completely surprised and screamed "Yes!" in excitement. The couple didn't know exactly what kind of theme they wanted for their wedding, but they did know they wanted to have personal touches. 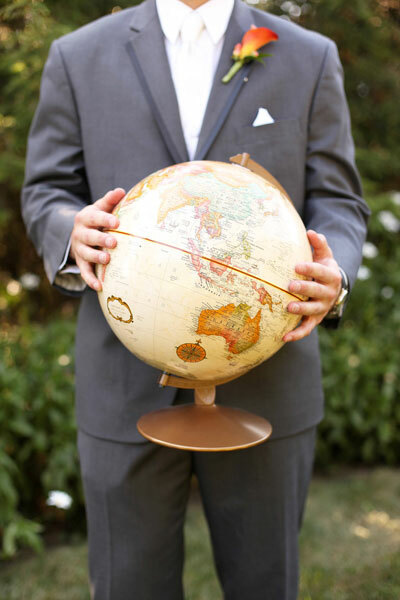 One of these personal touches was the globe to sign in lieu of a guestbook and suitcases to place cards into to symbolize their love of geography. The décor also featured tree ring slabs, sunflowers, and personalized table numbers with fun facts about the couple. Though Mary says her favorite memory of the wedding was seeing all their family and friends in one place at the reception, the ceremony held many memories as well. At the end the officiant put a twist on the traditional and said, "Mary, you may now kiss your groom!" A happy accident occurred when guests were early and so was the opening of the bar. Guests sipped on drinks throughout the ceremony instead of after, but Mary recommends the switch now. 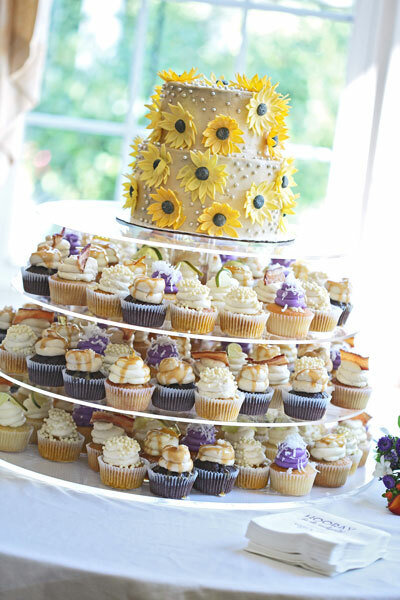 The cake, which was chocolate caramel flavored and covered in fondant sunflowers, was made by one of Mary's best friends and bridesmaids. Cupcakes in various flavors were also served as dessert. 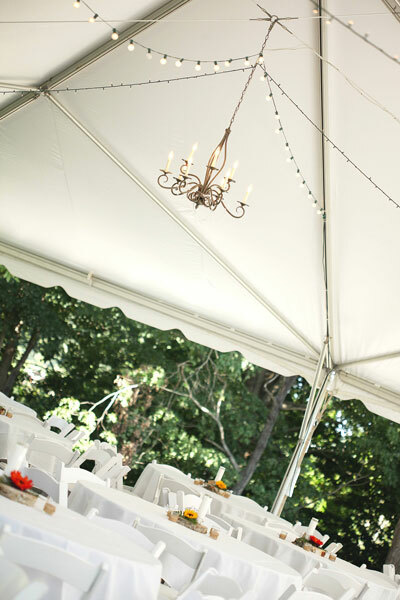 Mary used music to help set the mood for the rustic late-summer wedding. The couple's first dance song was "The Perfect Two" by Auburn, because it was a popular song at the time Mary traveled to the Philippines and it describes her and Joey's relationship. 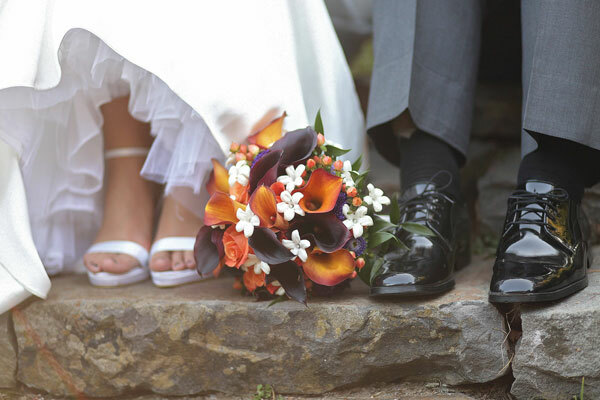 A piano version of "Falling Slowly" by The Frames set the tone for Mary's walk down the aisle. 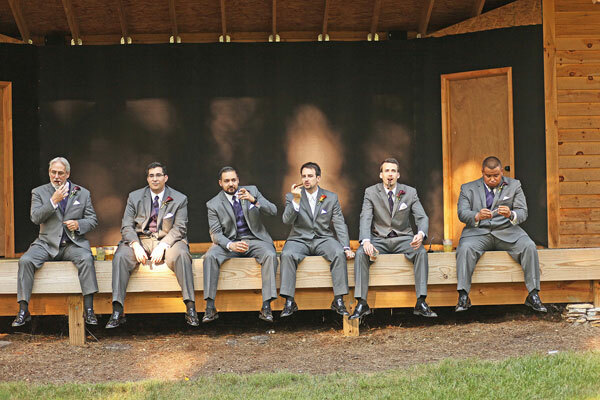 The reception music was also an eclectic mix for all generations, and guests say it made for a memorable occasion. Because the couple loves travel, they knew they wanted a non-traditional choice for their honeymoon venue. They chose to vacation in the Dominican Republic where they snorkeled and tried new foods! 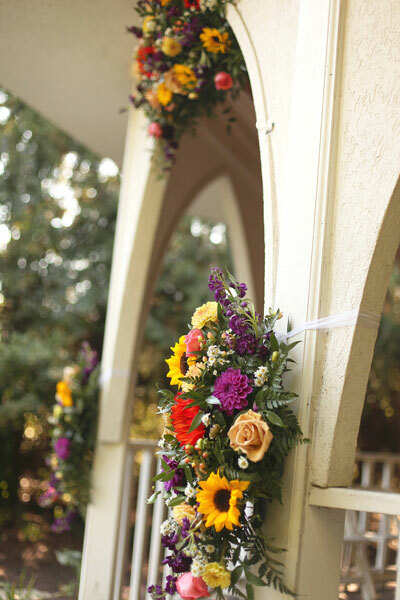 Be sure to see the Parks wedding on page 116 of the second issue of bridebook!